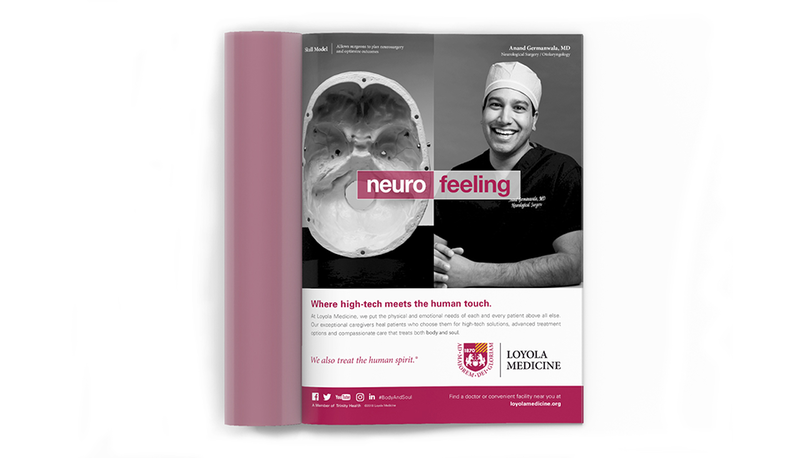 Tasked with the dual purpose of providing exceptional healthcare while educating the next generation of physicians, Loyola Medicine serves the unique mission of teaching, learning, and healing. 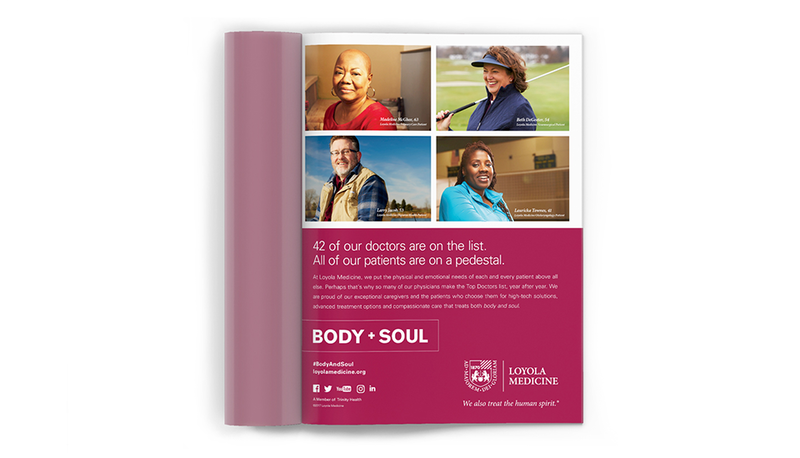 Faced with the task of relaunching the hospital’s Body + Soul campaign, Plan B exemplified the hospital’s position as a leader in the medical field while encapsulating their compassion for treating the human spirit. 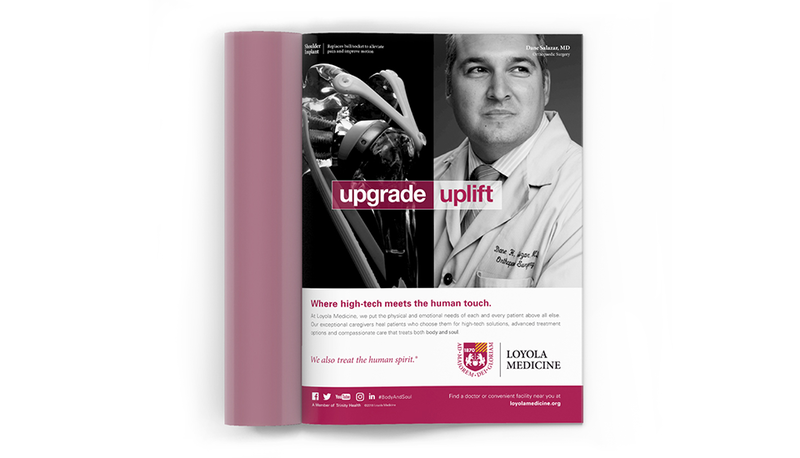 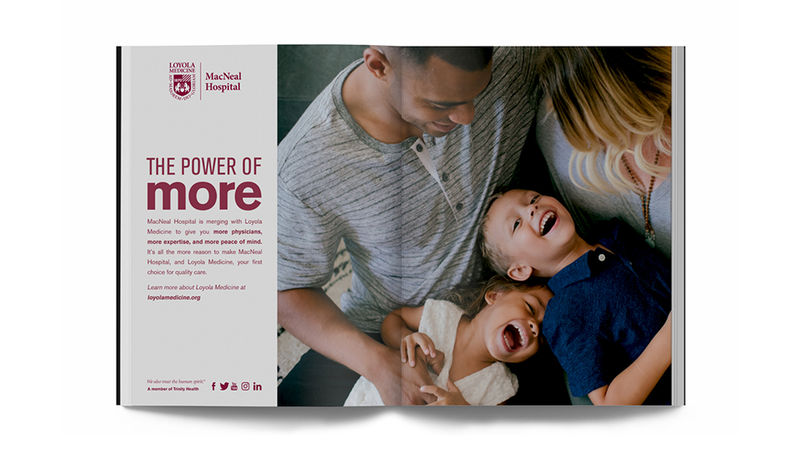 Evolving the campaign to showcase Loyola’s technological capabilities, Plan B brought a fresh perspective to refocus the hospital’s message, assisting in the full campaign process and having a role in the photoshoot that features their doctors and equipment. 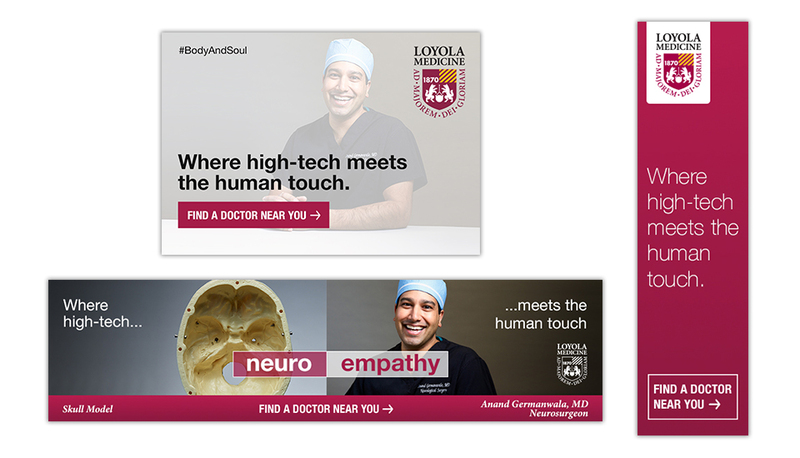 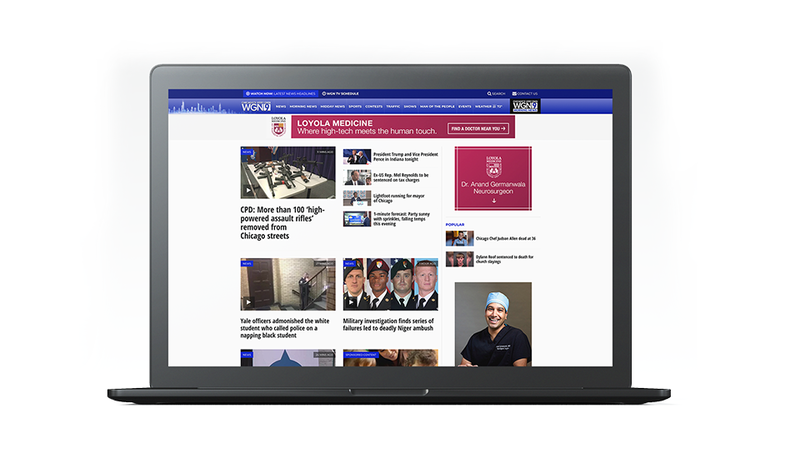 Showcasing the success of their top-rated physicians, Plan B introduced the headline “Where high-tech meets the human touch” and developed print ads, videos, and radio spots that feature nine of their highly specialized physicians, showing the true heart of Loyola Medicine.